Do you want a simple trick that can revolutionize your dishes? Of course you do, we all do! We love simple and easy but with the most bang. Well I have it for you today! 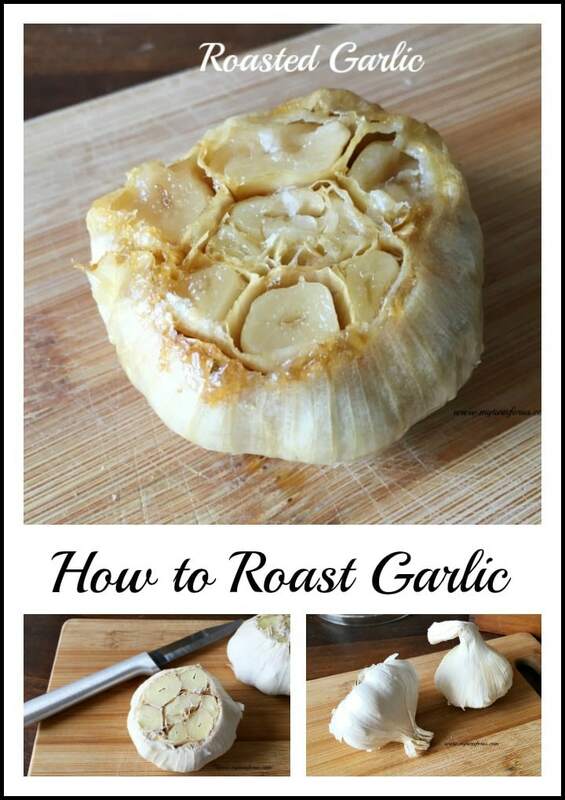 How to roast garlic should have been one of the first lessons I learned when I started cooking. It’s such an easy way to add that awesome aromatic flavor to so many dishes. 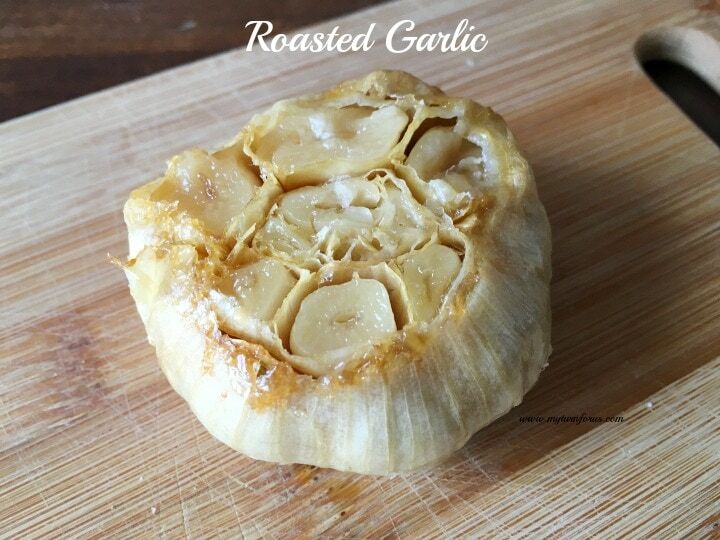 Roasting garlic transforms garlic from raw and crunchy to this delectable soft caramelized almost sweet flavor. I swear it’s almost like magic. And it adds the most delicious mouthwatering aroma to your home. 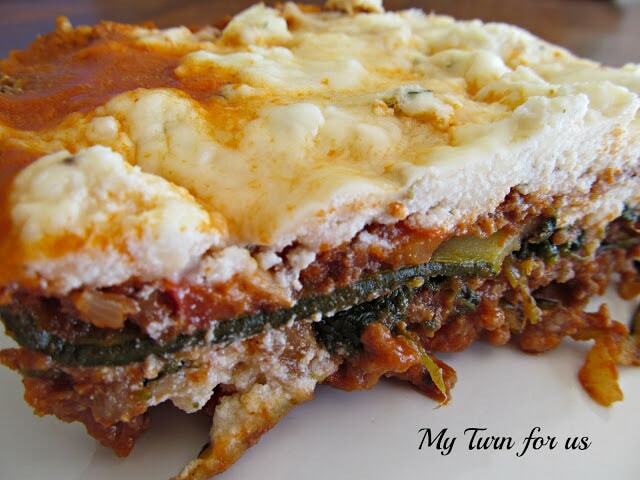 It’s so easy to do and the possibilities are endless, you can smear it on bread, add to soups, to mashed potatoes, to veggie dishes, to pasta dishes, spread it on a pizza crust or even on a nice steak. 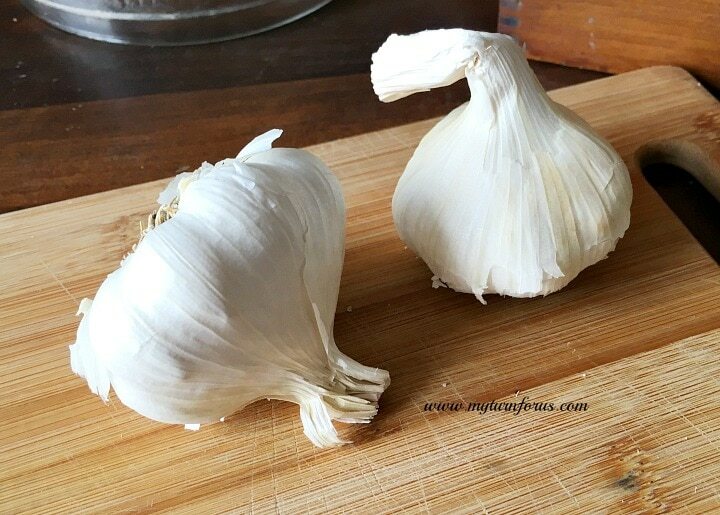 So grab a couple of garlic bulbs, always do at least two because if you don’t, you will wish you did because you can’t have too much roasted garlic. 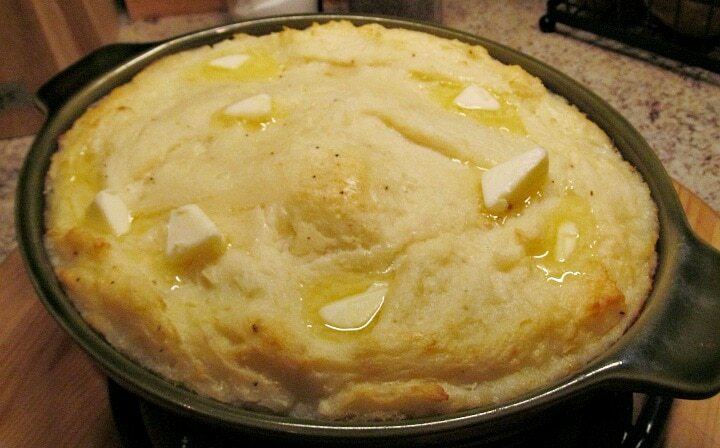 This is a great way to use those garlic bulbs that have been in the pantry for a while but fresh ones are even better. Either way you will not be disappointed. 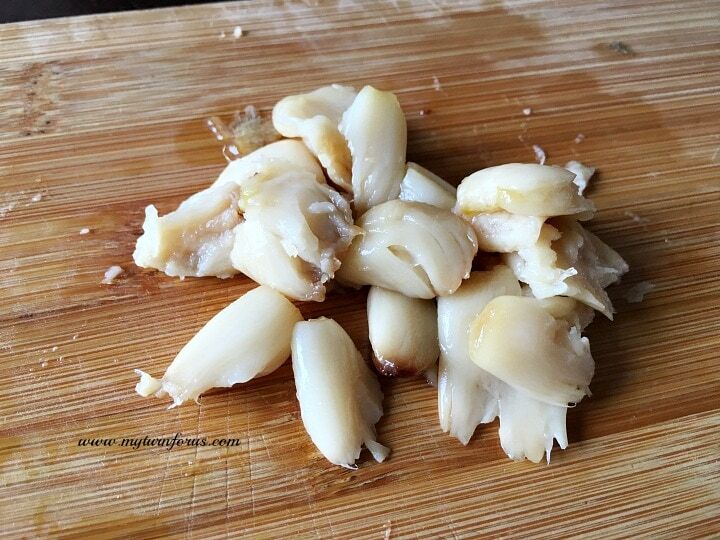 With a sharp paring knife, slice off the top of the bulb exposing all the cloves. 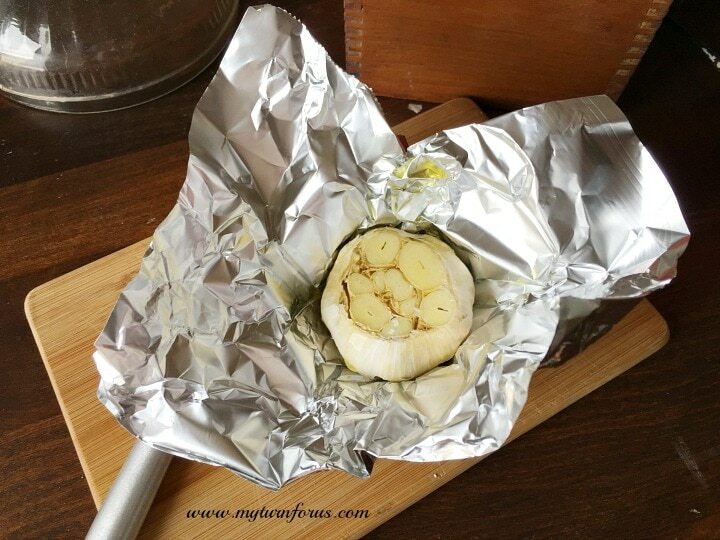 Place the garlic bulb in a square piece of foil large enough to completely wrap up the garlic bulb. Drizzle with olive oil and close foil to seal completely. Place in a 400 degree preheated oven and bake for 30 minutes, check for doneness by squeezing the head,cloves should feel soft when pressed. Continue cooking and checking ever 10 minutes until the it’s soft. Remove from oven and allow to cool, open foil carefully saving any oils. 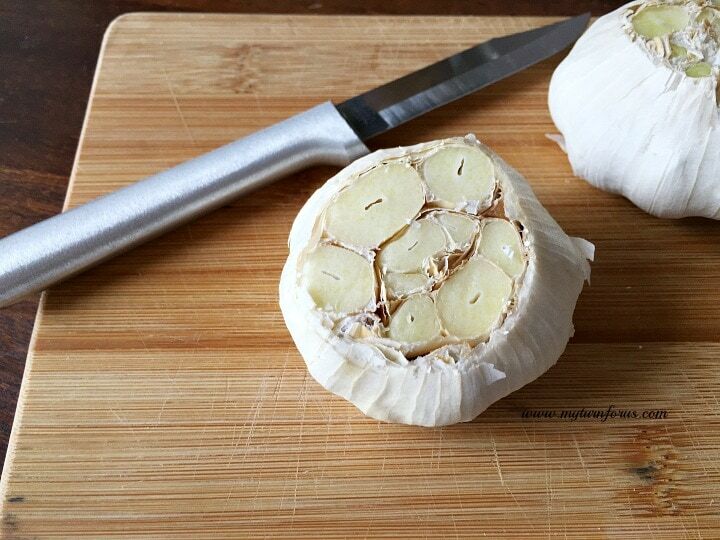 Gently squeeze out each garlic clove and smash with a fork. Now wasn’t that tricky simple? And can you think of ways it will revolutionize your dishes? Go for it, the sky’s the limit on how you can enjoy these precious globs of goodness! 2. 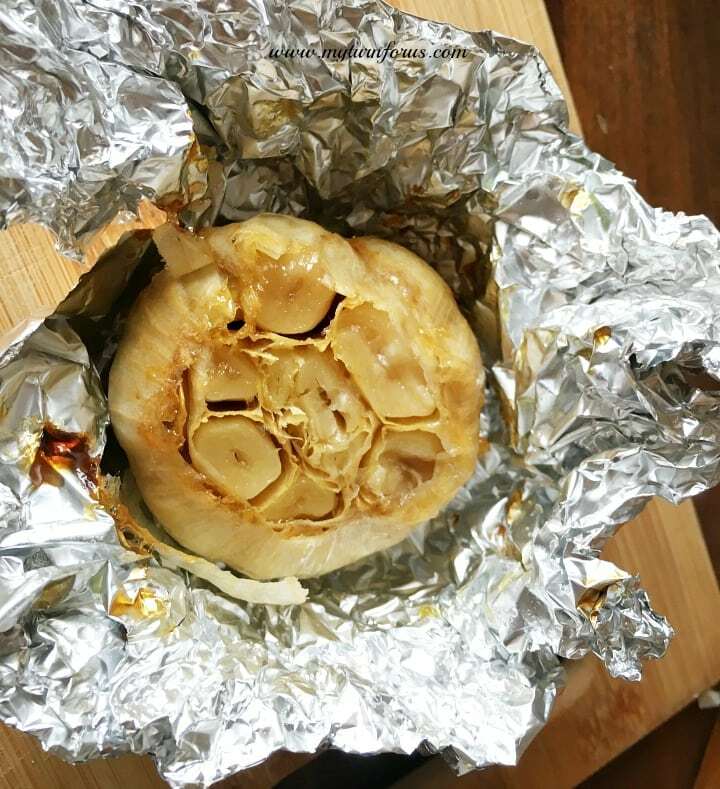 Place the garlic bulb in a square piece of foil large enough to completely wrap up the garlic bulb. Drizzle with olive oil and close foil to seal completely. 4. Continue cooking and checking ever 10 minutes until it’s soft. Remove from oven and allow to cool, open foil carefully saving any oils. Roasted garlic smeared directly on bread is the absolute best. I was actually just talking about roasted garlic the other day and how long it's been since I made some. It's so simple and a much different taste over raw garlic. 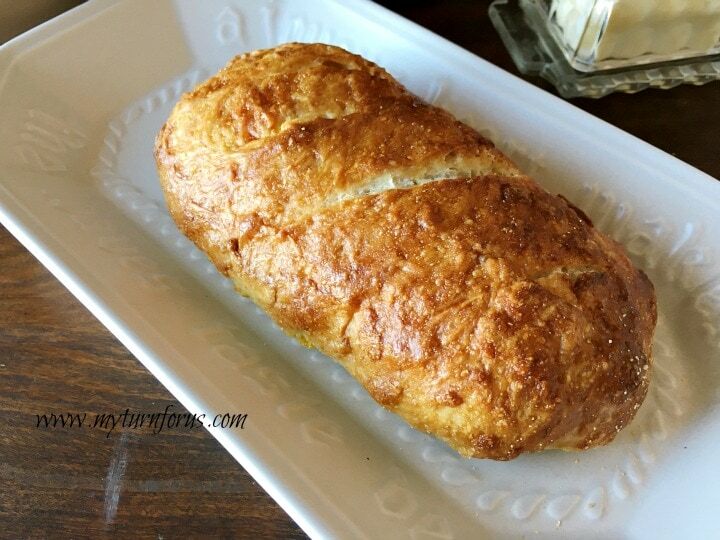 Seriously, I could eat roasted garlic like candy – it's sooooo good! !